Are you applying for many jobs and yet, you are not getting any or only a few interviews? If you said yes, then you should let our HR professional write a cover letter for you. Who knows more about what works in a cover letter than the people who rejects or approves thousands of them? After all, it's their job. Before I go into the services we offer, I want to make sure you know a little bit about us. Writing-Business-Letters.com has been helping our educated, ambitious clients (1,523,631 in the last year alone, plus educational institutions that use our material for their lessons) write better business letters for nearly a decade. We provide top quality advice along with tips and samples that teach you how to write attention-getting, compelling letters. We now offer a low-cost & effective solution to your Cover Letter writing needs. 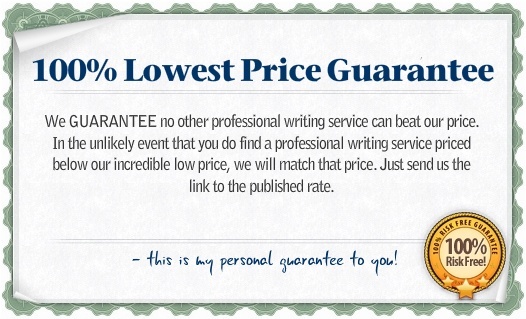 Our team of expert writers will write your letters based on your instructions and notes…for only $20 per cover letter. Other cover letter writing services charge from $40 to as much as $760, and the industry average is about $150 per letter. Don’t believe it? Just search for "letter writing service" and you’ll find out how expensive a letter-writing service can be. This means at $20 per letter, our service saves you more than 85%! Give our HR Professionals your resume and we’ll write you a winning cover letter that gets the job done. Need help writing a resume cover letter? Been applying for jobs but not getting any interviews? A professionally written cover letter can significantly enhance your chances of getting an interview. Our HR professionals will write a winning cover letter for you. You can choose if the cover letter is to be used for a specific job or in generic format to be edited for multiple jobs. Who better than a HR Professional to write your cover letter? After all, it's their job to reject or approve thousands of them. Did I mention our writers are HR Professionals? Delivery via email in 5 to 15 business days. BONUS: Two Free eBooks - "How To Ace Any Job Interview" and "Career Planning Made Easy". See the bonus section below for more details. Our writers can only write 10 letters a day. Any more will degrade our quality. So get this while it is still available. If you click on the buy now button below and it says sold out, I'm sorry but we have reached our capacity. You have to come back next week (a long time if you are looking for a job). Place your order now, while it is still available. Also, we work on a first come first served policy. So, if you want to get results fast, order now to secure your spot. Our service helps improve your chances of getting an interview. But what do you do after you get the interview? “How To Ace Any Job Interview” is a book for thousands of job seekers for whom attending a job interview is a nightmare. This 82-page eBook has several tips that can help the most nervous job seekers to gain confidence. The tips are on everything regarding attending a job interview, right from preparation to follow up, and putting them into practice will definitely fetch the job of your dreams. Your cover letter and resume is only part of the steps needed to manage your career. Career planning is the ultimate concept that ensures a successful career. 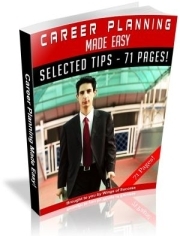 To learn more about planning your career, read the 71-page eBook “Career Planning Made Easy” and find out all that you need to know about career planning programs and organizations. The wide array of useful tips presented in this eBook will surely help you secure a golden career for yourself by planning it well in advance. These 2 eBooks currently retail for $9.95 each (Total value $19.90). These bonuses will be delivered together with your finished letter. Remember, you get everything (your professional cover letter & the eBooks) for only $20. If you still want this service, please use the contact form and I'll let you know when it is available.